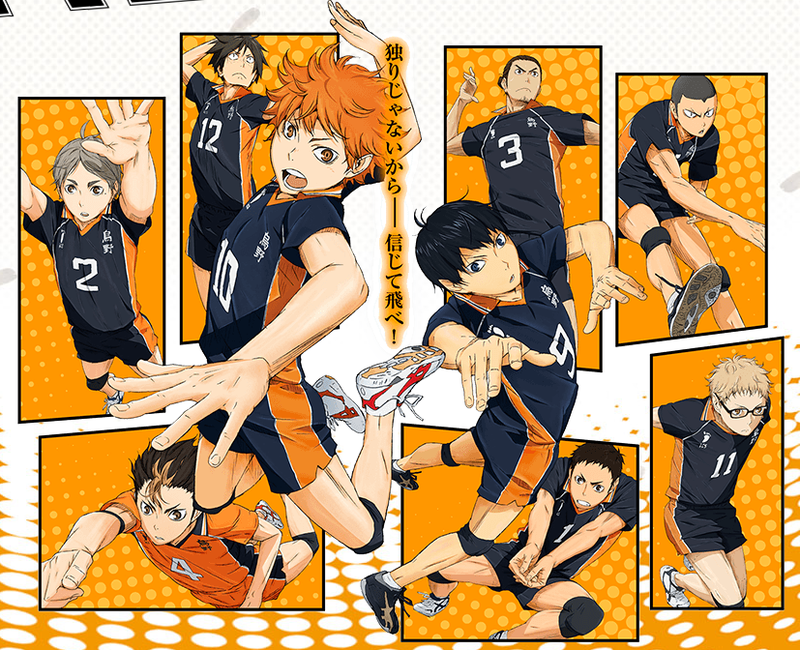 That was a good year to like sports anime and Haikyuu was the best of the bunch. It has all a good sports anime needs: A talented but newbie protagonist, a strong and interesting rival, a team filled with unique characters and some very good games to watch. 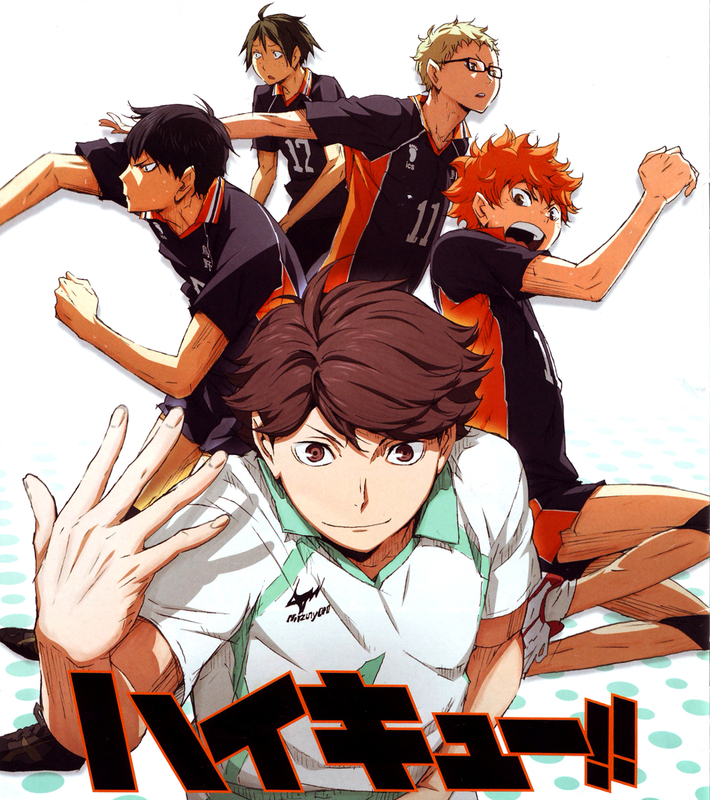 Right at the beginning of the story, Hinata has to end his middle school volleyball life after one game. On the opposing team he meets Kageyama, and they hate each other’s guts. Hinata makes a bold promise, that he is going to beat Kageyama in High school and they are destined to be enemies forever. Except for the fact that, coincidentally, they end up on the same team. The moment that happened, I knew I would like this series. Then, later, Nishinoya makes a move to which he screams full on “Rolling Thunder … Again!”. That moment I knew this series would be in this list. The thing is, a very frequent complain sports anime get is about the special moves the characters do. 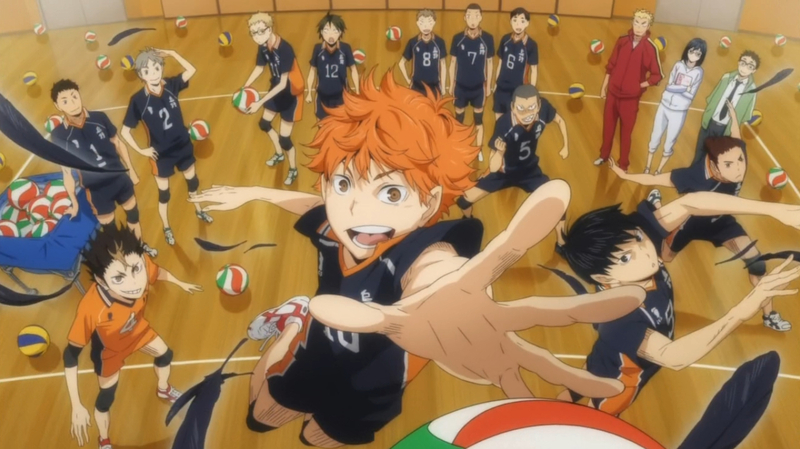 Haikyuu has some very over-the-top moves in games, but nothing absurd like a super-power. When Noya does this “Rolling Thunder Again” scream, it is a joke. It is self-aware, but not a mean joke about “inferior” animes. It sounds funny and well placed. Haikyuu has good emotional moments, but it also has funny moments in a very good mix, which makes it a very good series.